MANILA, Philippines - Ellen Degeneres didn't think twice in inviting Beyoncè to watch 'Tawag ng Tanghalan’ boys’ rendition of her song. 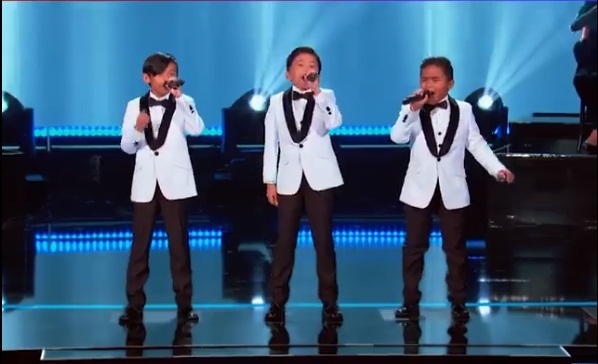 Filipino kid singers Francis Concepcion, Mackie Empuerto, and Kiefer Sanchez or known as TNT Boys wowed the audience as they performed on the Little Big Shots US. Even host Steve Harvey looked so impressed with their performance. This isn't the first time the singing trio showcased their singing prowess on an international stage. The TNT Boys had previously impressed the British fans when they also sang the same song on Little Big Shots UK. The video is now going viral with 16 million views and 154,000 shares online. Francis Concepcion, Mackie Empuerto, and Kiefer Sanchez gained prominence when they battled it out on Tawag ng Tanghalan Kids on noontime show, It's Showtime. 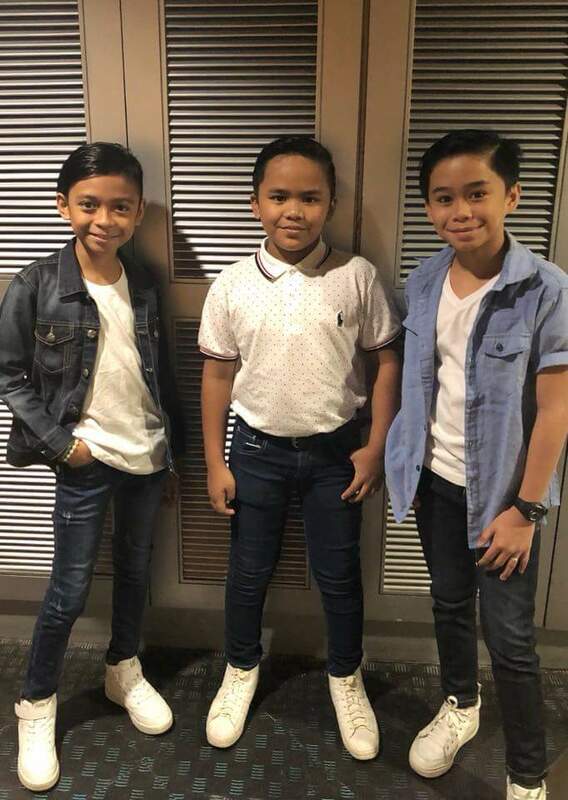 The TNT Boys will soon be seen impersonating popular artists as they are set to be part of the Your Face Sounds Familiar Kids this May 5. 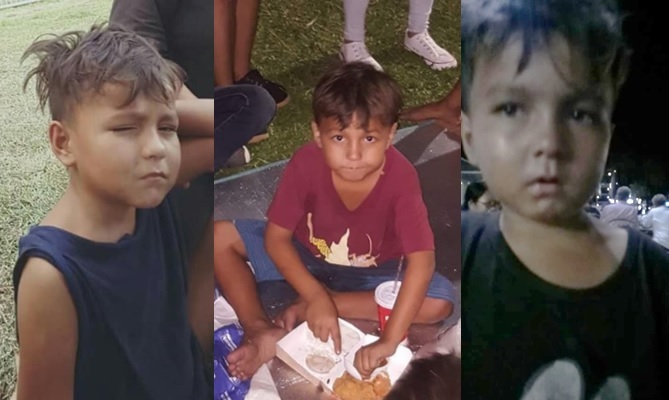 A Fil-American boy who has been begging on the streets, hopes to find his American father. Johnsy Melchor or “Tisoy’s” Caucasian skin stands out amidst the beggars on the streets. The 10-year-old boy is now a breadwinner as he tries to find means to feed his mother and two younger brothers. The small family lives on a public park in Angeles City. Life hasn't been easy for Tisoy and his family. Tisoy, soon grew up with a stepfather and had two younger siblings. But as fate would have it, he too left them. Tisoy's story became viral after a netizen, Docx Zaiclen posted on Facebook his photos and videos. Zaiclen's updates soon revealed that Tisoy has been wishing that somehow, he would soon meet his father. Netizens were moved with the story and several of them extended their help to Tisoy's family. The post has been shared 14,000 times since posting. 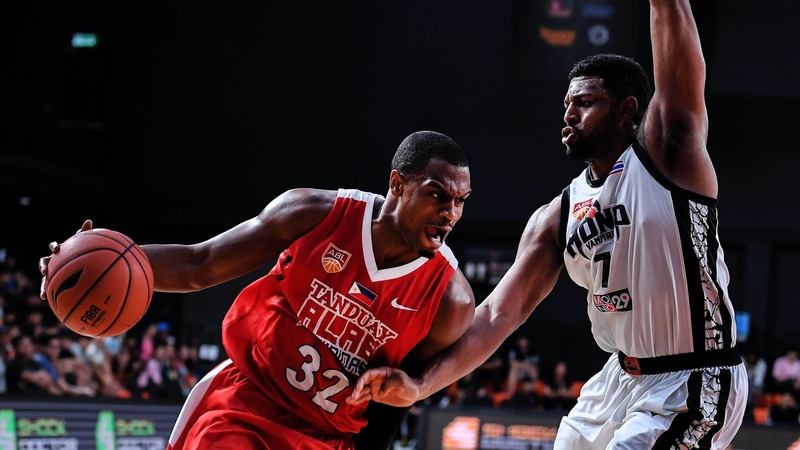 MANILA, Philippines - San Miguel Alab Pilipinas failed to finish off Mono Vampire Thailand in its home turf as the Thais extended the ASEAN Basketball League (ABL) Finals series to Game 5 after an 88-85 victory on Monday, April 30, 2018 in Bangkok Thailand. It was the colossal Sam Deguara who opened up the 1st quarter of game 4. Alab Pilipinas however, fired back with an 8-0 scoring run to take the early lead. Ray Parks Jr. and Oping Sumalinog took their shots from the deep but was countered by Mono Vampire to get the lead back under 2 minutes of the opener. Chitchai Ananti played a huge role in the defensive end on the dying seconds of the first and wrapped up the quarter with a corner trey for the 23-18 Mono Vampire advantage. Ray Parks Jr.’s triple and Renaldo Balkman’s easy basket at the start of the 2nd period for the equalizer panicked Coach Doug Marty. The American Coach called a mandatory timeout and re-inserted his prized center to reinstate their team’s 5-point margin. Alab had recorded 13 turnovers in the 1st quarter and more was added up in the second that paved way for Thailand to maintain its lead. Despite the costly turnovers by Alab Pilipinas, the Philippine team just trailed the Thais by 3 points, 45-42 after the 1st half. Ray Parks Jr. led all scorers with 11. Alab imports became aggressive as they started the 3rd quarter. Sam Deguara however, was still a stiff mountain to climb for the Nationals. The 7’5” behemoth played so well in this game and managed to avoid a foul trouble unlike his previous games. Renaldo Balkman committed his 4th personal foul with 3 more minutes left in the period. Nevertheless, Alab was able to regain the lead without the Puerto Rican-American import. The game was tied at 69 apiece after the 3rd quarter with Ray Parks Jr. leading the way for San Miguel Alab Pilipinas. Turnovers were still Alab’s biggest concerns as they entered the final canto of game 4. In just couple of minutes, Thailand’s lead ramped-up to 6. Aside from the miscues, Law Domingo also obtained his 4th personal. At the 2-minute warning, Thailand’s lead was 5, 86-81. Alab tried to get closer as the clock slowly died down. Mono’s heritage import, Paul Zamar made it a 2-possession, 88-85 ballgame with a floater and left Alab Pilipinas with 17 seconds. Philippines didn’t convert a point during its last possession and Thailand officially forced a do-or-die game number 5 on Wednesday, May 2 at the Sta. Rosa Multi Purpose Complex. MANILA, Philippines - Congratulations to our new Isko and Iska! The University of the Philippines on Monday, April 30, finally released the College Admission Test (UPCAT) results for AY 2018-2019. More than 14,000 students out of 80,000 examinees successfully hurdled the entrance test. UPCAT was administered on October 21-22, 2017 in at least 76 test centers nationwide including UPEPP (Clarkfield, Pampanga), UP Visayas (Iloilo City), UP Los Baños (Laguna), UP Cebu (Cebu City), UP Tacloban College (Tacloban City), Cagayan de Oro City, UP Mindanao (Davao City), UP Baguio (Baguio City) and UP Diliman (Quezon City). 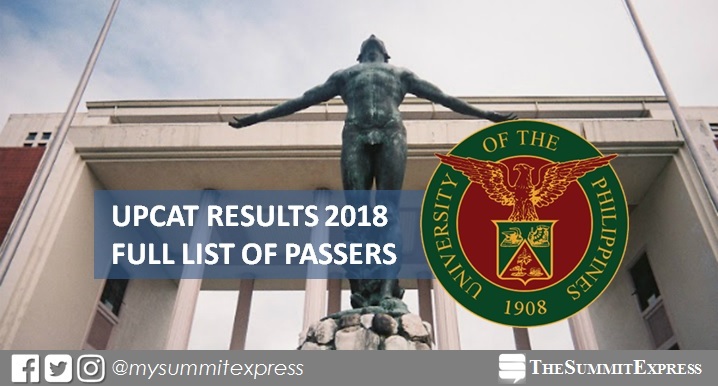 The official list of passers is now available online. With the expected influx of traffic on UP servers, visitors may use mirror site Stickbreadsolutions that will redirect to UPCAT 2018 Results page. For SY 2018-2019, UP welcomes the first batch of freshmen who will continue to university after the full implementation of Senior High School (SHS) as part of the K to 12 program. "If you qualify for admission to UP, register according to the instructions provided by the college or unit to which you have been accepted," UP added. The UPCAT is a multiple-choice exam with questions in Filipino and English. Its four subtests cover Language Proficiency, Science, Mathematics and Reading Comprehension.